Getting a new Persian kitten and adding it to your household should be a fun and exciting experience. Cats are territorial and may not take kindly to this addition to "their" domain. The key is a gradual introduction of the new pet to the resident cat in your household. The following suggestions should assist with the transition and ensure a successful outcome. It is always a good idea to prepare for your new arrival several days in advance by getting food and water bowls, litter box and litter, toys, and a scratching post. Talk to your breeder on recommendations on what food the kitten is eating to avoid stomach upset. Talk to your breeder to find out what litter the kitten is using. View our Supply List for recommendations on specific products, toys, grooming products, and food and water dishes. Before bringing your new cat or kitten home, you should always cat proof your home. When planning on the day to bring your kitten home, schedule it for a time when you can be at home for a few days and when the home is quiet, such as the beginning of a weekend. Provide your new kitten with a safe spot so they can adjust to their new home without the chaos of a busy household which can be stressful. Ideally, this area is a spare bedroom, bathroom or laundry room; whichever room can separate the kitten from the rest of the household. For those homes without an extra room or bathroom, you can change a large dog crate into a kitty condo. The room the new kitten is kept should have all the basic necessities including: food, water, litter box, a resting place and a scratching post. Prevent boredom by giving the kitten plenty of toys. During this time you should spend "bonding" time with the kitten – do not isolate the kitten from you or other members of the household. Keep other animals from the room or area the new kitten is. Ideally, the new kitten and existing pet will begin playing together under the closed door (or through the grate if using a dog crate) and become familiar with each other's scent. This "introduction" period should be for about 10 – 12 days. 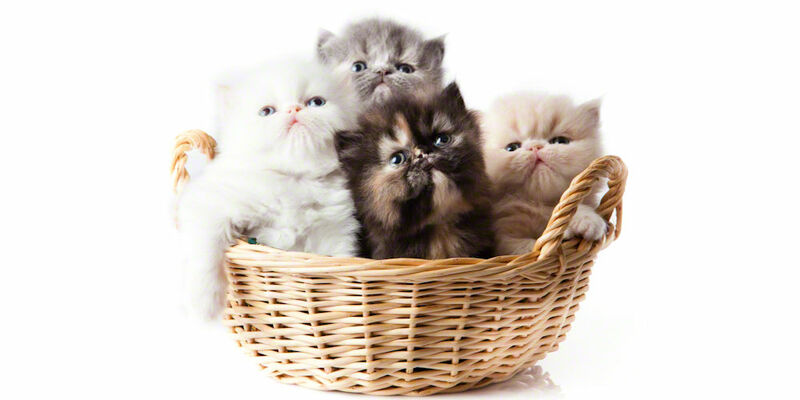 An introduction or quarantine period ensures the new kitten does not get sick because of the stress of re-homing. If you regularly trim your cats' nails every week it will help to protect against accidental injury to yourself or children. Always supervise young children around pets and teach them proper pet handling skills. Never allow rough handling, poking, hitting, and pulling the kitten's fur. When a cat is scared or in pain, they can display defensive aggression. Kittens are especially vulnerable to injury, because of their small size, so close supervision is advisable around children. Never leave a child alone with a kitten. Providing an "escape" for the kitten or cat is a good idea (i.e., a raised perch). Allowing the kitten to initiate contact with children is a good rule of thumb instead of having the child approach it as sometimes a child's quick movements can be frightening. Never let a child chase a cat. Follow the introduction process outlined above under supervised conditions so you can intervene, if necessary. Make sure each new kitten or cat gets daily play and cuddle time. Feliway® is a synthetic feline pheromone that may help to calm and relax your kitten or cat. Feliway® is available as a plug-in diffuser or a spray bottle. Ideally, it should be put in place about a week before the new kitten comes into your home. Above all enjoy your new pet, relax and have patience.